Records in the Risk Management Center can be saved in two different states or can be permanently deleted from the system. Records are created and maintained in an active status by default. Active records are included in reports and totals. Records in the archived status are not included in reports or totals, but are maintained in the archived state until either restored to active status or permanently deleted by a user. Records can only be deleted from an archived state. An active record must first be archived before it can be deleted. Deleted records are unrecoverable. The controls to archive, restore, or delete records are similar throughout the Risk Management Center. 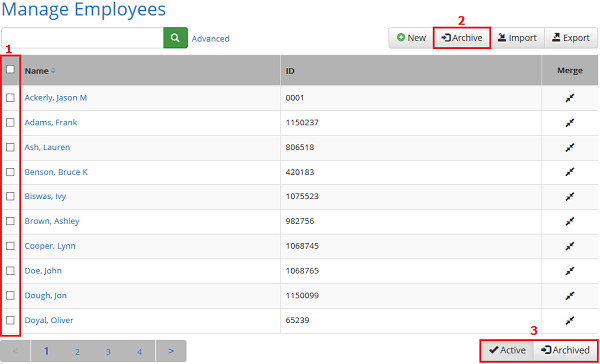 Active | Archived: The buttons in the bottom-left toggle the current view between active and archived records.